Just when you thought you'd got your head around the last unexpected trend (Prada’s posh paper clip, anyone? ), Raf Simons heralds the humble duct tape to be the next big thing in accessories. Yes, Hypebeast has just announced that what was once used to package parcels is now being used to package, well, us actually. On the Raf Simons A/W 17 menswear catwalk, it was all about taping up oversize outerwear. Okay, okay, we're not really encouraging you to get all Blue Peter on the regular. Far chicer to take on the equally statement but ultra-wearable designer ribbon hair trend, instead. But what we can confirm is this: EVERYONE will be talking about this stationery-meets-high-fashion trend this week, so remember where you saw it first. Scroll below to shop the designer duct tape from Raf Simons. 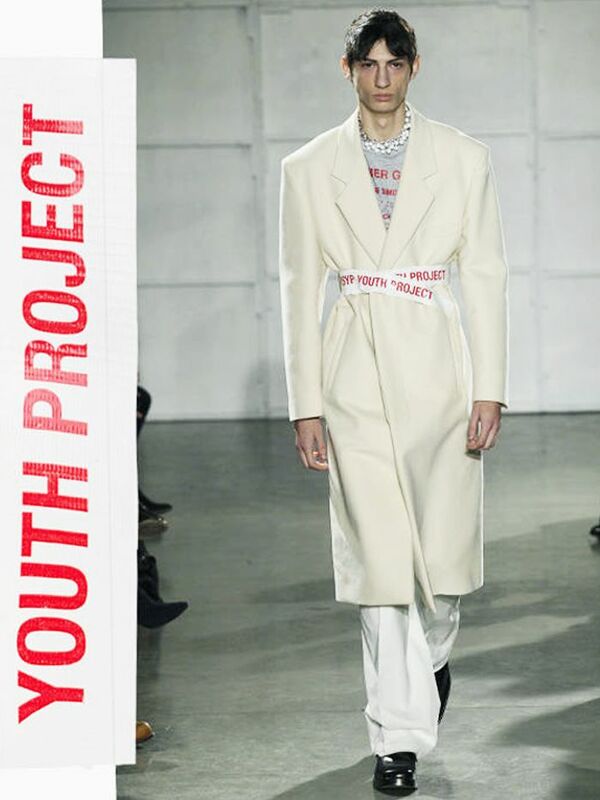 Get the look straight off the catwalk and choose the red-and-white YOUTH PROJECT–emblazoned version. Or why not try the feisty black and red for a more autumnal lilt? Get the designer look for less and go for Peter Jensen's rabbit-inspired tape. Up next, forget the pink coat—now it's all about the pink sweater.